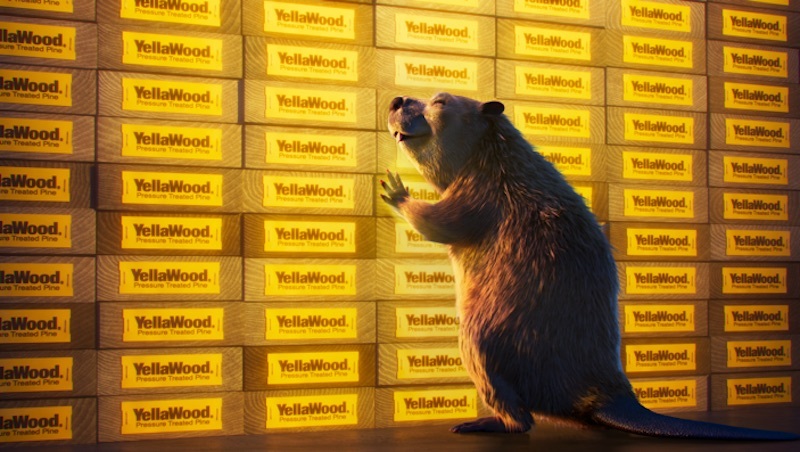 Beavers are on the hunt for YellaWood brand pressure treated pine in latest advertising effort. ABBEVILLE, Ala. — What do you get when you combine YellaWood brand pressure treated pine with a mischievous band of beavers driven to create their own oasis at the lodge? The Woodland’s Most Wanted, a new national advertising campaign by YellaWood. With this new campaign, the company says it is reinforcing its position in the market, while also providing support to its dealer networks across the country. The Woodland’s Most Wanted will include digital, broadcast, billboards, and in-store elements, and the YellaWood brand hopes to cultivate a memorable experience that aims to increase engagement with current and potential customers.